In 1991 Clevers became a professor of immunology at the University Medical Center in Utrecht. Since 2002 he has been a professor of molecular genetics at UMC Utrecht. Also in 2002 he became director of the Hubrecht Institute for Developmental Biology and Stem-Cell Research at the Royal Dutch Academy of Sciences. Clevers discovered similarities between the normal renewal of intestinal tissue and the onset of colon cancer. In 2007 he received a grant of two million euros from the Dutch Cancer Society (KWF) to study the function of stem cells in the normal intestines and in colon cancer, and in 2008 and 2015 he received ERC Advanced Investigator Grants. 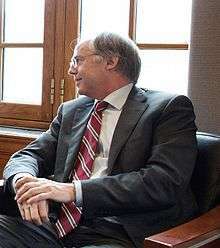 In March 2012, Clevers, who since 2000 had been a member of the Royal Netherlands Academy of Arts and Sciences, was elected its president, a position he assumed on 1 June of that year, succeeding Robbert Dijkgraaf. In connection with his election to this position, he resigned as director from the Hubrecht Institute but kept his research lab there. From 2012-2015 he was President of the Royal Netherlands Academy of Arts and Sciences (KNAW). Since 1 June 2015 he is director Research of the Princess Maxima Center for paediatric oncology, located on the Utrecht campus close to the Hubrecht where he maintains his lab. To summarise his scientific highlights, Hans Clevers identified the crucial downstream component of the Wnt signaling cascade, TCF, and the mechanism by which Wnt signals activate specific TCF target genes. With these insights and in a collaboration with Bert Vogelstein, he proposed that in APC-deficient colon cancer, it is the inappropriate activation of the Wnt pathway that transforms cells. He was the first to link Wnt signaling with adult stem cell biology, when he showed that TCF4 gene disruption leads to the abolition of crypt stem cell compartments of the gut. He went on to show that the Tcf4-driven target gene program in colorectal cancer cells is the malignant counterpart of a physiological crypt stem cell program. He then described the Wnt target Lgr5 as a marker for adult stem cells including those of crypts. By the creation of several ingenious Lgr5-based transgenic mice, he established the intestinal crypt as one of the pre-eminent models to visualize and study adult stem cells in mammals. He described several counter-intuitive characteristics for crypt stem cells: Lgr5 stem cells are abundant, they cycle rapidly, they divide symmetrically, and utilize their Paneth cell-daughters as their niche. He then identified the Wnt signal-enhancing Rspondins as ligands of Lgr5, and exploited the Rspondin/Lgr5 axis to develop a 3D organoid culture system for indefinite expansion of normal intestinal epithelium starting from a single adult Lgr5 stem cell. Similar results were then reported by him for multiple additional human and mouse tissues. This has opened ways to generate disease models directly from patients as well as avenues for regenerative medicine. Clevers holds a dozen patents and was involved in the establishment of the biotech firm Ubisys, which, with Ton Logtenberg as CEO, later merged with Introgene to become Crucell. Clevers also played a key role in the founding of Semaia Pharmaceuticals, which was later acquired by Hybrigenics SA. He is on the editorial board Cell, Cell Stem Cell, Stem Cell Reports, EMBO Reports, Gastroenterology, amongst others. He is a Scientific Advisory Board member for IMP in Vienna; the Institute for Research in Biomedicine in Barcelona and the Netherlands Cancer Institute (NKI)  He is also an honorary professor at Central South University in Changsha, Hunan, China. He is member of the American Academy of Arts and Sciences (Boston), and foreign associate of the National Academy of Sciences (Washington) and the Academy des Sciences de l'Institut de France (Paris). ↑ Prof.dr. J.C. Clevers (1957 - ) at Catalogus Professorum Academiæ Rheno-Traiectinæ. ↑ "Hans Clevers: "Every day new research is showing us that many types of cancers are fed by tumour stem cells"". IRB Barcelona. ↑ "A gutsy approach to stem cells and signalling: an interview with Hans Clevers". Disease Models & Mechanisms. ↑ Roos Menkhorst (22 June 2013). "'Ik leerde het belang van vertrouwen in mezelf'" (in Dutch). Trouw. Retrieved 20 February 2016. ↑ "Laureates: Hans Clevers". Breakthrough Prize. Retrieved 20 February 2016. 1 2 3 4 "Hans Clevers on Becoming a Scientist". Oral History Collection. 1 2 3 4 "Hans Clevers". Hubrecht Institute. 1 2 3 4 5 "prof.dr. Hans Clevers". UMC Utrecht. 1 2 3 4 "Het spijt ons, maar deze pagina bestaat niet". KNAW. ↑ "ACR Special: Interview with Professor Hans Clevers". proteintech. 1 2 "Heineken Prize and presidency for Hans Clevers". Netherlands Proteomics Centre. ↑ "Hans Clevers". Royal Netherlands Academy of Arts and Sciences. Retrieved 17 July 2015. ↑ "NWO Spinoza Prize 2001". Netherlands Organisation for Scientific Research. 5 September 2014. Retrieved 30 January 2016. ↑ "Academy Professor Prize Awarded to Ineke Sluiter and Hans Clevers". Royal Netherlands Academy of Arts and Sciences. 28 April 2016. Retrieved 10 May 2016.